Today we decided to head to Animal kingdom, it's probably our least favourite park but DD was going to be tall enough for Kali river rapids so we were looking forward to it. We arrived just after park opening and headed to the safari for our fastpasses. 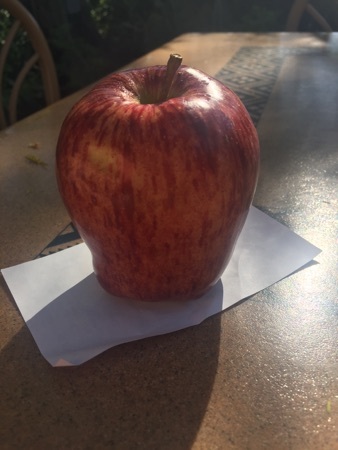 We stopped at a snack cart just outside and DH and DD grabbed an apple each. These were $1.99 each. We had other fastpasses for Mickey and Minnie meet and Kali river Rapids and after these we headed to flame tree BBQ for lunch. DH got the half a chicken, he thought this was nice but wasn't particularly big. It came with beans, coleslaw and cornbread. I had the pulled pork sandwich (yes another), this was nice, there was lots of pulled pork inside and plenty of coleslaw. 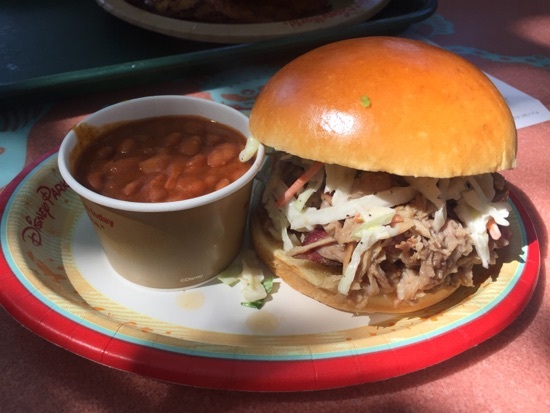 There is a condiments bar at flame tree BBQ with sauces so I covered the pork with sweet BBQ sauce. The beans were ok, they had a spicy taste to them. 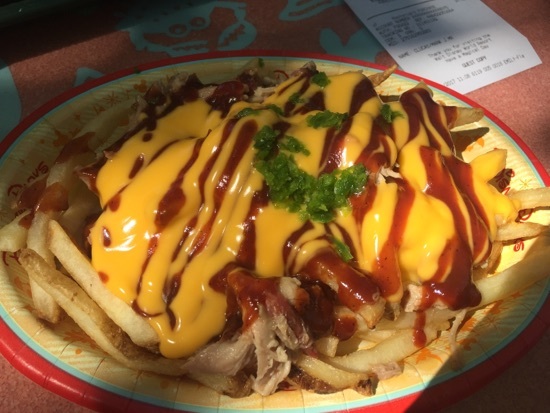 DD had the fries topped with pulled pork, cheese and BBQ sauce. This portion was huge, I helped her finish them and thought they were really nice. There wasn't a load of pulled pork but I didn't mind as i had plenty in my sandwich. 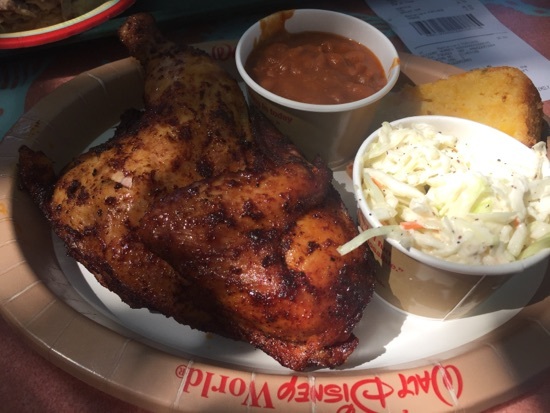 This should have come to $33 but flame tree BBQ has 20% discount for DVC and annual pass holders so it cost us $26.82. We thought it was pretty good value for the quality. For dinner this evening we went to sweet tomatoes. 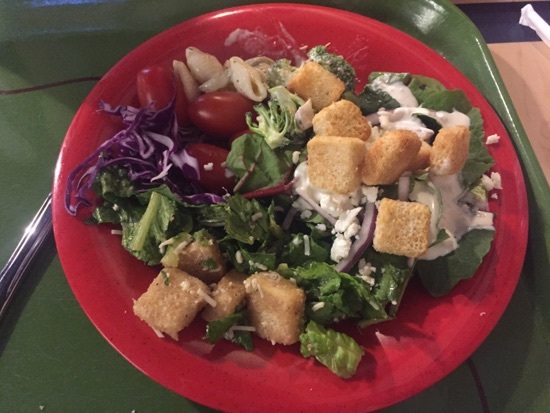 We each got a plate of salad to start, then went back for some more salad, there's loads to choose from including prepared salads such as Caesar salad and blue cheese salad. There's also a huge selection of stuff to create your own salads and toppings such as croutons and dressings and cheeses. They also have a selection of soups and jacket potatoes, pasta dishes like spaghetti bolognaise and Mac and cheese. 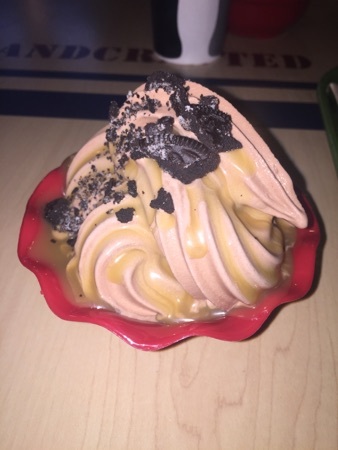 For desert we each got a warm brownie and covered it in the self soft serve chocolate ice cream and topped it with caramel sauce. They had toppings like crushed Oreos, sprinkles and granola you could put on top too. Dinner cost is $32 for the 3 of us and we really enjoyed the salad as a break from the rich food we've been having since we got here. New Photo Added by missdopey - 11 Apr 17 11:21 PM. Some good looking food, the brown and soft serve ice cream looks yummy and I quite fancy trying the fries with pulled pork, cheese and BBQ sauce. Sweet tomatoes, one of our favourite places to visit. As you say nice it is a nice change. 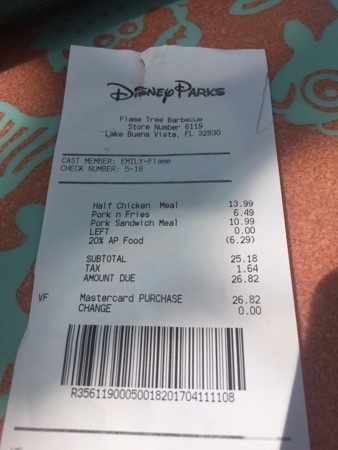 I really want those fries at AK, seem such a good price too. Love sweet toms.. Always go a couple of times. Ridgewood Lakes Oct 1999 : Westridge May 2001 : Florida Pines Jan 2003 : Crescent Lakes May '05 : Sandy Ridge May '09 : Sandy Ridge Sept/Oct '10 : Tuscan Ridge April/May '12 : Emerald Island Nov '14 : Windsor Palms May '16 : Emerald Island April/May 2018! Those fries at FTB look delicious!